Keep Those Cards and Letters Going! Imagine that you’ve just had your first book published, and the Amazon reviews are decidedly mixed. Maybe you’re even getting some downright negative comments about your work, and you just can’t help but take it personally. Then, at the moment when you’re considering never subjecting yourself to such pain and anguish again, the doorbell rings. It does because the sender isn’t your mom or your spouse (though you’d never turn down their gifts, either). It’s a reader you met first on Facebook and then in person at your book signing. Over time, your relationship has progressed from mere acquaintances to true bosom buddies. And today, no matter who else in the whole wide world she could be thinking of, she’s thinking of you. How amazing, the way we live and breathe and move in each other’s hearts and minds and souls! And how lovely when we take the time to let each other know. My opening example was necessarily extravagant, which you can blame on my fixation with Godiva. But if you’re wishing right about now that your own doorbell would ring, why not practice the Golden Rule? You, too, can develop the habit of blessing writers with emails, cards, and similar kind gestures. You are likely already Facebook friends with your favorite authors. You may also follow them on Twitter and communicate via Goodreads. You’re networking with a wonderful group, some of the most generous and sensitive people anywhere. Plus, you’re positioned well to begin supporting, lifting up, and appreciating these folks in easy, tangible ways. Keep a running list of writers you’d like to bless. When you have a spare minute, choose a name. Have fun putting together a couple of sweet paragraphs in an email, a link on your Facebook page to a blog post the author wrote, a photo of yourself reading the author’s book, or a care package. Jot down notes as you read a new book, to remind yourself later precisely what you loved about it. Authors especially enjoy hearing from a reader whose life was touched by the work. Instead of saying, “I learned a lot from your book,” say, “I particularly loved your advice on how to romance my husband and am putting it into happy practice!” Specific always trumps general. Most authors these days are overjoyed to get an enthusiastic Facebook message or email from a reader, but I don’t know a single one who wouldn’t adore a handwritten card or letter. A small gift of special meaning can be memorable, too. I recently found an inexpensive wall hanging with the quote a writer friend of mine had posted on Facebook. I packaged it up and sent it to her with a note of good cheer. She loved it! Remember, authors aren’t book-cranking machines; they are real live people. Their feelings get bruised. They suffer fatigue, illness, loss, and relationship problems—not to mention suffocating deadlines. Sometimes, the friendship extended to an author isn’t about a book. Sometimes, we reach out to others in our writing community because of good old-fashioned love. Not long ago, a fellow writer sent me a gift for no reason, except that she saw it and thought of me. I don’t know about you, but even to imagine that a treasured friend spots a plaque with a humorous saying and is reminded of me gives me goosebumps. So tell me, have you received wonderfully thoughtful notes or gifts from your fellow writers? Any tips you’d like to offer to those who want to keep those cards and letters going? This entry was posted in Encouragement, Writing and tagged cards, encouragement for writers, gifts, Godiva, Katy McKenna, letters by Katy McKenna. Bookmark the permalink. Katy McKenna revels in fictionalizing her true-life stories and, conversely, infusing genuine truth into her made-up stories. She loves it when a reader reports having laughed and cried, all in the same paragraph. Katy and her hubby empty-nest in Kansas City, which is home-base for three grown kids, two in-law kids, and two grandkids. They operate a web design firm, for which Katy provides copywriting, editing, bookkeeping, and coffee-making services. Katy is not, repeat NOT, a hoarder! However, she embraces the thrill of the thrift-store hunt with untethered enthusiasm. A dual citizen of America and Britain, Katy adores haunting her ancestral ruins and relatives in Scotland and Ireland, excavating stories galore. You are so right, Katy, about how our feelings tie into our work. Unless you’re a famous, best-selling author, the work of writing outweighs the monetary reward. If people don’t tell you, “What you did was important to me,” writing would be a waste of time. Hi, Dr. Rita! I know I write primarily to connect with the hearts of readers, and without any knowledge that a connection has indeed been made, it’s awfully tempting to give up. I wonder about wildly successful authors who are making good money. I suspect that they still need encouragement from their readers, and value it highly. When my writing makes me rich, I’ll report back in here with the whole truth. Ha! Hi Katy! This is so great… I’ve definitely had a few upsetting reviews … but you’re right that the good ones mean a whole lot! I once sent a thank you note/fan letter to a writer Arthur Gordon, for his beautiful inspiring book, A Touch of Wonder. The book was twenty years old when I found it, but I managed to track down the author who was then in his 80s or 90s. (He has a story about spending a day with Rudyard Kipling, so he was not a young man!) He wrote me back on an old typewriter to thank me for blessing him saying, “Encouragement is the fuel for this old writer’s tank.” I have always loved & remembered that image. Nothing inspires me to get back to writing like a little encouragment; nothing makes it harder to get back to the task of writing like a mean-spirited review on Amazon! 🙂 We need 5 praises to counteract ever negative, so the experts say. Thank you Katy for this encouraging post, and for all your daily encouragements on Facebook! Becky, that is the best story EVER. I can only imagine Mr. Gordon’s joy upon learning that you had discovered his work. It doesn’t matter how old we are, does it? We all yearn to know that we’ve made a connection with another human being. He reached out to you by writing the book, and you to him by writing the letter. And then he answered! What a treasure. About those reviews: A mediocre rating is one thing, but is there ever a reason to be mean-spirited in a public space like that? I personally can’t think of one….Thank YOU, Becky, for the great sense of community you foster through your books, online, and face-to-face. I really enjoyed your post. I try to send a note with each book I read to bless them. I know that if I was published that is what I would want. Glenda, what a beautiful practice! I can only imagine how many authors have had their days made my your notes! During a difficult time, you may have offered a writer just what she needed to press on. I hope the blessings you’ve given are poured out upon you many-fold. Hi, Susan! I’m grateful you shared about your column and the letters you’d receive when I asked for writers’ experiences in this regard on facebook. You helped me formulate this post–thank you! I hope there is a revival in the handwritten note, that the art does not die out the way some languages have. We should always, IMO, retain as many ways to communicate as possible, and efficiency isn’t necessarily the order of every day. Sometimes, the slow, leisurely writing of a letter brings to mind so many thoughts that we resist forming when we deal exclusively in texts and tweets and emails. 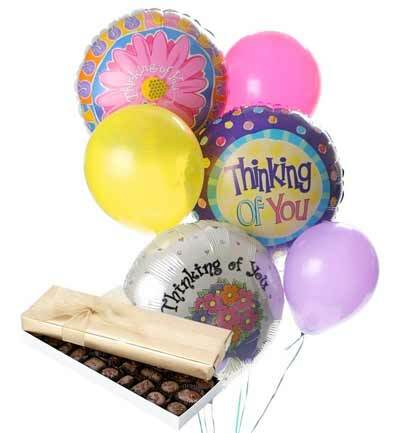 And for the recipient, those deeper thoughts translate into encouragement and blessing…..
What great food for thought! I often will mention a book I like on Facebook and tag the author so she or he sees it, but you’re right – a personal note would be so appreciated. I this electronic age, it’s so nice to receive something other than junk mail or bills in the mailbox! Jan, You are in a treasured group of readers if you take the time to let an author know you appreciate her! When I asked authors what types of correspondence from readers meant a lot to them, many indicated that the method didn’t matter. Emails are great! Facebook posts are terrific! In fact, some prefer them because they feel it’s easier to respond and more immediate. I love “real” mail, but I realize I’m pretty old school. Authors just love feedback, pure and simple. And you are showing them the love! Thank you. Hi, Katy. This article lovingly reminds us of the sweet, lasting effect of random acts of kindness. Blessings!